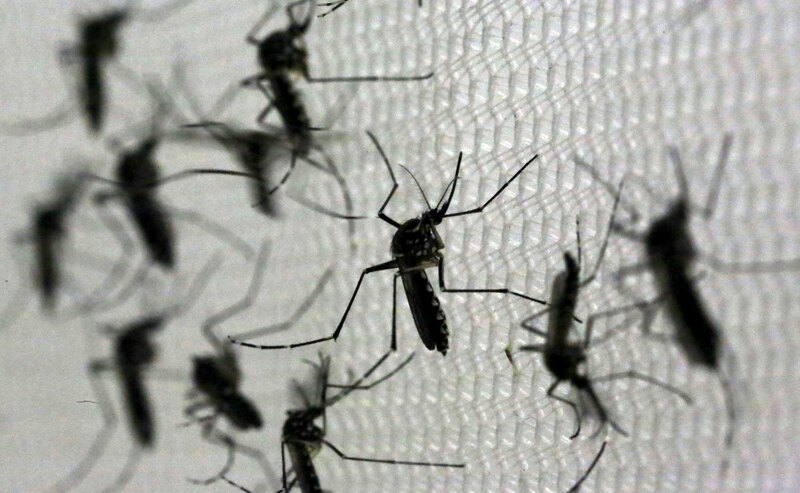 Top infectious disease specialists are warning that a yellow fever outbreak in the jungles of Brazil could bring the disease to the United States. Over the past few weeks, the Latin American country has seen an uptick in yellow fever cases in some of its rural areas. According to the Pan American Health Organization, health officials have confirmed 371 yellow fever cases, including 241 deaths. Hundreds more cases are being investigated. This high number of cases is out of proportion to the number reported in a typical year, Anthony Fauci, M.D., director of the National Institute of Allergy and Infectious Diseases (NIAID) and colleague Catharine Paules, M.D., explain in a letter published this week in the New England Journal of Medicine. Since the areas in Brazil currently affected by the outbreak are close to major urban centers, including Rio de Janeiro and Sao Paolo where millions of people live, infectious disease experts are concerned that the virus could spread into city populations there for the first time in decades. Yellow fever is spread from one person to the next by Aedes aegypti mosquitoes — the same species that transmits Zika virus. Other mosquito-borne viruses, including Zika and dengue, have demonstrated that such diseases can spread at epidemic levels through populations with little preexisting immunity. Further spread would be likely in the age of global travel. “In an era of frequent international travel, any marked increase in domestic cases in Brazil raises the possibility of travel related cases and local transmission in regions where yellow fever is not endemic,” they write. U.S. territories — including Puerto Rico, where the Zika outbreak reached last year — could also be at risk. Yellow fever likely originated in Africa and was imported to the Americas in the 1600’s. It claimed hundreds of thousands of lives worldwide in the 18th and 19th centuries. A vaccine was developed in 1937 that is still in use today; it provides lifetime immunity in up to 99 percent of people who get it, according to the World Health Organization (WHO). However, Fauci and Paules note the vaccine is not routinely used in Brazil’s urban populations. While extensive vaccine campaigns in high-risk areas and improved mosquito control have significantly reduced cases of yellow fever worldwide, local outbreaks continue to occur. One of the larger ones in recent years began in December 2015 in Angola, in southwest Africa, and subsequently spread to the Democratic Republic of Congo, with 961 confirmed cases and 137 deaths. During this outbreak, the world’s emergency vaccine stockpile reserved for epidemic response was exhausted. This prompted health officials to vaccinate some people in these areas with only one-fifth of the standard dose. Fauci and Paules note that the limited number of stockpiled vaccine doses and the long time needed to produce additional vaccines is especially concerning during the ongoing outbreak in Brazil’s jungles. “To prevent a similar occurrence in Brazil or in future yellow fever outbreaks, early identification of cases and rapid implementation of public health management and prevention strategies, such as mosquito control and appropriate vaccination, are critical,” the researchers write. They say that doctors in the U.S. should be vigilant in asking patients for recent travel history and be suspicious of yellow fever should the outbreak spread to urban areas in Brazil. “As with all potentially reemerging infectious diseases, public health awareness and preparedness are essential to prevent a resurgence of this historical threat,” they write.